Wiebe Wakker is a rare type of person, one you don't encounter very often, and who you might think doesn't exist anymore. Wiebe's an adventurer. But he's not off pillaging foreign lands or taking part in destructive activities in the name of fun. He's travelled around the world, in a ten year old electric car, to bring attention to the practicality of EV's. 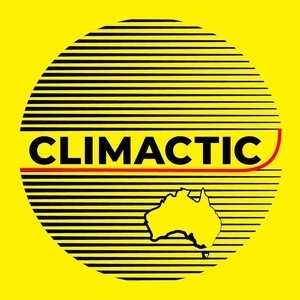 This is the 50th episode of Climactic, and Wiebe's story is a great way to mark our half-century. It's fun, inspiring, informative, and a bit of a palate cleanser from the heavy topics we talk about. This won't be a permanent change, but this was so much fun, and we're so happy to bring you this story. We're currently looking at ways to further develop the show, and Climactic as a social enterprise, as we start year 2, and we'd love your feedback. Drop us an email or say hi on Facebook, won't you? The General Assembly kindly provided our end credits music, see their work here. Plug Me In - The Car video! Electric Cars Aren't As Green As You Think - YouTube — Somewhat misleading... worth a whole episode to get into this!